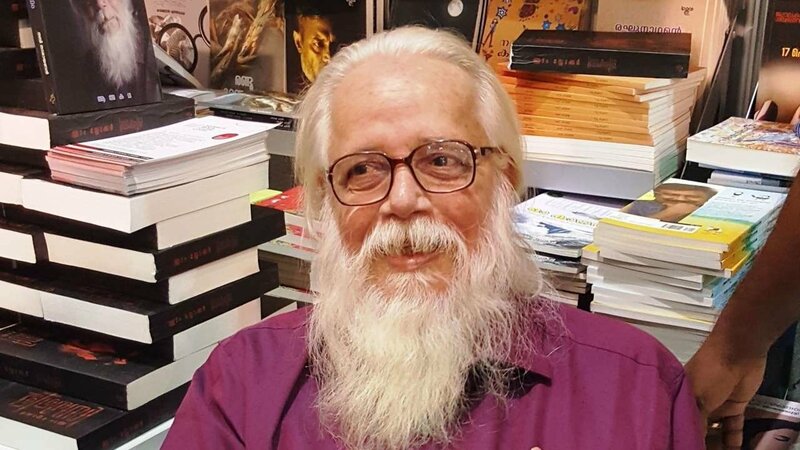 Nambi Narayanan, a former Indian Space Research Organisation (ISRO) scientist has finally received relief from the Supreme Court in connection with an espionage case which began in 1994. A Bench comprising of Chief Justice of India (CJI) Dipak Misra, Justice AM Khanwilkar and Justice DY Chandrachud delivered the Judgement authored by the CJI today. The Bench has ordered setting up a Committee to scrutinise the role of the investigators in the Kerala Police and the Intelligence Bureau (IB) regarding how they handled the entire case. The espionage case was eventually dropped after the Central Bureau of Investigation (CBI) submitted a report that did not find any of the allegations to be true. In furtherance of the Court’s observations, the Court ordered the government of Kerala to pay a sum of Rs 50 lakh as compensation which must be paid within eight weeks. In addition, the Court has appointed Justice DK Jain – a former Supreme Court Judge – to head a three-member committee to investigate the role of the officers involved. The other two members of the committee will be appointed by the Union and the state government respectively. The case began with a crime being registered against Mariam Rasheeda – a Maldivian – on January 20, 1994. On October 21 that year, she was arrested, and thereafter interrogated by the Kerala Police and the IB. In the course of the interrogation, she allegedly made statements to the effect that certain official secret documents had been leaked by scientists working at ISRO. On November 15, another Maldivian, Fousiya Hasan, was arrested. The investigation was undertaken by a Special Investigation Team (SIT) headed by Siby Mathews who was at the time the director inspector general (DIG) for Crime in the Kerala Police. On November 21, D Sasikumaran was arrested, and on November 30, S Nambi Narayanan – the appellant – was arrested. They were both scientists in ISRO. On December 4, the investigation was handed over to the CBI. Following the CBI’s report that they were unable to find any evidence of the crime, the Chief Judicial Magistrate (CJM) discharged all of the accused persons on May 2, 1996. Unsatisfied with the CBI’s report, the state government of Kerala issued a notification on June 27, 1996, which withdrew its earlier notification – handing the investigation to the CBI – and ordered a re-investigation by the state police. This notification was challenged in the High Court by the appellant. However, the Court upheld the notification on November 27, 1996. The decision of the High Court was subsequently challenged in the Supreme Court. On April 29, 1998 the Supreme Court quashed the Kerala government’s notification. In 2001, the National Human Rights Commission (NHRC) had ordered that the Kerala government pay a compensation of Rs. 10 lakh as interim relief to the appellant who had sought Rs. 1 crore as compensation. On September 7, 2012, the Kerala High Court had ordered the government to pay interim relief ordered by the NHRC. Two years earlier, a writ petition was filed by Rajasekharan Nair in the High Court seeking action to be taken against the erring SIT officials for conducting a malicious investigation. However, in 2011, the Kerala government issued an order, wherein they communicated their decision not to initiate any action since a long period of time had already passed. Due to this order, the petitioner withdrew his petition so that he could challenge the Kerala government’s new order. A Single Bench in the High Court of Kerala heard the challenge and quashed the government’s order. The Court further remitted the matter to the government for reconsideration within three months. Though the government of Kerala did not challenge the Single Judge’s decision, two private persons challenged the decision before a Division Bench of the same Court in 2014. The Division Bench in 2015, however, left the decision of disciplinary action to the government without time constraints. The appellants alleged that they were subjected to torture by the Police and the IB when they were in custody for 50 days. The CBI had also noted that the ‘confessions’ that were extracted during interrogation could not be substantiated. The CBI had searched the premises of the accused for incriminating documents which they crosschecked with ISRO. ISRO, however, stated that all the documents of the projects that the scientists were working on were accounted for. Even when the CBI sought to uncover the money paid for the documents, they were unable to recover anything from the scientist’s homes, nor could they determine anything unusual in their bank accounts.